This is the world Influence takes place in. Silently swarming with neutrality and grey, it waits for you to stir things up. Approach alone, with allies, or with enemies and make your voice the loudest. 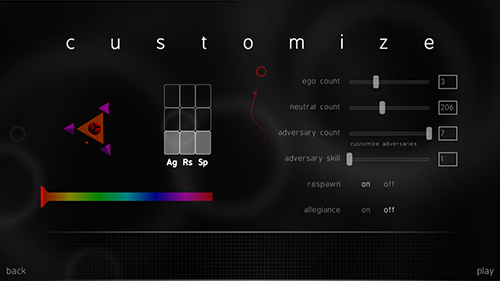 Play Offline allows players to choose their own opponents and get to know the nature of Influence. 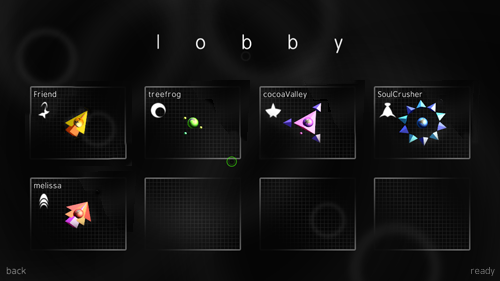 Play Online sets up multiplayer so players can join other players as enemies or allies.